Tom is Professor of Social Psychiatry at Oxford and wrote Psychiatry in OUP’s Very Short Introduction series. This whetted his appetite to write for a more general market. 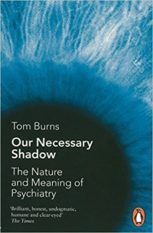 Penguin Press published Our Necessary Shadow: The Nature and Meaning of Psychiatry. 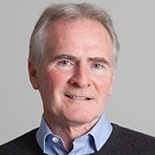 As well as tracing the development of psychiatry since its beginnings, he gives a fascinating insight into how a present day pyschiatrist diagnoses and works with patients. In The Times, Raymond Tallis described Tom as ‘calm, sympathetic, willing to listen to a wide variety of views and eager to understand. Just the person you would like to be in charge of your care if you were assailed by madness’. Tallis finished, ‘this is as good an introduction to the subject as one could imagine. Honest, un-dogmatic, humane and clear eyed. It is a brilliant apologia for Burns’ much maligned profession’. Rights have been sold in the US, Spain and Romania.